Will Doan Thi Huong be released after the trial on Thursday? An Indonesian woman accused in the 2017 killing of the North Korean leader's half-brother was released from custody on Monday after a Malaysian court dropped a murder charge against her. After the court decision to release her, 26-year-old Siti Aisyah hugged her co-accused Doan Thi Huong, a 30-year-old Vietnamese woman, and cried. 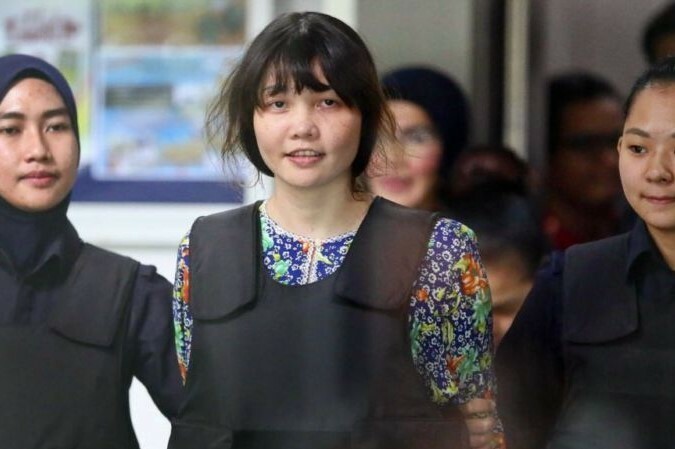 The two women had been accused of poisoning Kim Jong Nam, the estranged half-brother of North Korean leader Kim Jong Un, with liquid VX, a banned chemical weapon, at Kuala Lumpur airport in February 2017. From the outset of the case, there were suspicions that Kim Jong Nam was the victim of plot arranged by North Korean agents who left Malaysia in the hours after the killing, and the two women had been merely pawns in a political assassination. Siti Aisyah had been working as a masseuse in Kuala Lumpur, while Doan described herself as an entertainer. Ms Doan was due to testify on Monday after months of delay but the trial was adjourned after her lawyer said she had been “traumatised” to learn that she now faced the charges alone. The trial will resume on Thursday. Mr Hisyam told the Telegraph last week that he was “very confident” his client would win as she had “no knowledge” of the elaborate conspiracy.